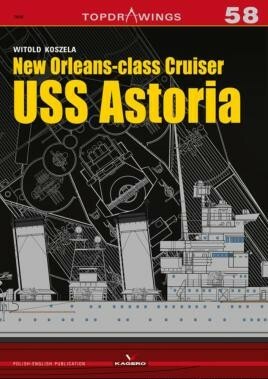 USS Astoria was a cruiser of the New Orleansclass, built at the Puget Sound Navy Yard, Bremerton, Washington. Her keel was laid down on September 1, 1930. She was launched on December 16, 1933, and commissioned in the US Navy on April 28, 1934. … a useful reference book to have in the library. … the book is an absolute goldmine of information.